Lessons from IDS TILDA by Kev Mac Giolla Phádraig. Life is trickier for people with intellectual disabilities if they lose all their teeth. For example, they have more difficulty eating and more chronic constipation. Therefore, everyone should keep their teeth for life. This means that everyone should brush their teeth effectively every day. This article offers tips to keep teeth healthy. Together, tooth decay and gum disease lead to tooth loss and oral disability. In Ireland, about a third of older adults with ID have no teeth; a rate twice as common as in the general population. What is worse is that when older persons with ID lose all their teeth, they are very unlikely to have this treated with dentures: In fact, twelve times less likely than the general population (1, 2). IDS-TILDA research has also shown that such oral disability, seen rather uniquely among older adults with ID, has significant nutritional implications. When people are left toothless and without rehabilitation with dentures they are more likely to report difficulty chewing, using modified diets, needing mealtime supports and even experiencing chronic constipation. These nutritional implications have potential to hugely affect safety, health and quality of life, while increasing dependence on nutritional supports. For these reasons, amongst others, it is vital to maintain a functioning set of teeth for life. For the first time, people with ID can expect to live into old age but a longer life is not the same as successful ageing. For successful ageing it is important to maximise health and minimise dependency. This means that we must all work together to maintain the oral health and function of all people with ID over the increasing lifespan. This represents a challenge because, unfortunately, people with ID have traditionally had poorer oral health than the general population. For example, previous research has shown higher levels of gum disease in Irish adults with ID and poorer outcomes from tooth decay (3). While using Fluoride toothpaste and limiting sugary intake are important to reduce decay, the corner stone in preventing these diseases is effective tooth-brushing. Many people with ID and those who support them know of the daily effort that is needed to maintain a healthy mouth. Often tooth cleaning can be difficult and feel thankless for all involved. The benefits, unlike other health promotion activities such as smoking cessation or weight loss programmes, can seem somewhat removed or distant. IDS-TILDA found that while most people with ID in Ireland brush their teeth daily there is a large range of support needs among older adults with ID who often find tooth brushing downright tricky (4). This study concluded that there is a need to promote effective daily brushing using appropriate technique with individualised support for an adequate length of time. The authors advise all people with ID to discuss this with their dentists and develop an oral healthcare plan, which considers their abilities and meets their individual needs. Here, we include a list of general suggestions, which may help improve effective homecare to empower people with ID to achieve successful ageing (Figure 1). Watch what you eat: Good eating habits should be established in childhood, avoiding the use of food as a reward system. Brush teeth twice daily: Brushing teeth removes plaque that causes gum disease and decay. The most important area to brush is between the tooth and gum, which is where gum disease can take hold. If gums bleed during brushing, the teeth need to be brushed better in that particular area. Use the right toothbrush: Where people find it difficult to tolerate tooth brushing, there are specific toothbrushes like the “Superbrush Dr Barmann’s Special”, that act like mini car washes for teeth. While these are often better tolerated, it can take more attention to get good cleaning at the gum margin with these brushes. Google them – try one out! Choose a time and location when everyone is chillaxed. If brushing seems difficult, check it is not too hard or in a painful area. Top tip: Check the teeth when they are brushed to see if all plaque is removed. Use the right toothpaste: For adults a pea-sized amount of a good all- round toothpaste from the supermarket is the perfect choice, as long as it contains Fluoride. It is important not to rinse the paste from the mouth after use: just spit! Visit the dentist and hygienist: Everyone should visit the dentist at least once a year or more regularly if advised. Visits should start early, so children can become comfortable with the dental surgery and good hygiene habits can be established for life. Mac Giolla Phadraig C, McCallion P, Cleary E, McGlinchey E, Burke E, McCarron M, et al. Total tooth loss and complete denture use in older adults with intellectual disabilities in Ireland. J Public Health Dentist. 2015;75(2):101-8. Mac Giolla Phadraig C, Nunn J, Carroll R, McCarron M, McCallion P. Why do edentulous adults with intellectual disabilities not wear dentures? Wave 2 of the IDS TILDA cohort study. J Prosthodont Res. 2016. Crowley E, Whelton H, Murphy A, Kelleher V, Cronin M, Flannery E, et al. Oral Health of Adults with an Intellectual Disability in Residential Care in Ireland 2003. Department of Health and Children. 2005. 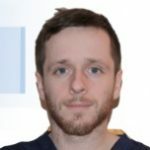 Kev Mac Giolla Phádraig is an assistant professor in Special Care Dentistry in Trinity College Dublin and the Dublin Dental University Hospital and PhD student with IDS TILDA. He specialises in dentistry for people with disabilities, phobias and medical problems. For further info, his website is www.specialcaredentist.ie .